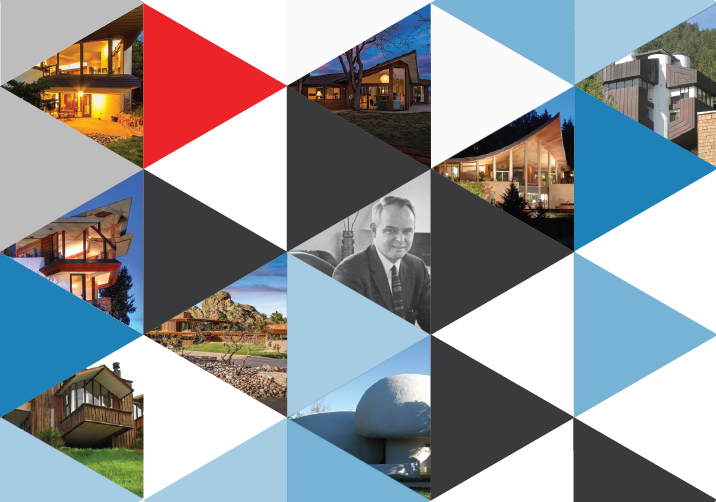 In partnership with CU Art Museum, Historic Boulder and CU Boulder’s AIAS chapter, join Month of Modern for a one-of-a-kind House Tour experience in Boulder. See an awe-inspiring group of six select Haertling houses that reflect the rich diversity of livable, innovative architecture and design found throughout his buildings. For one day only, attendees will be given the rare chance to walk through the interiors of some of the most inspiring private homes in Boulder’s neighborhoods. This self-guided tour features six distinct residences chosen to inspire design professionals and enthusiasts alike. Tour Date/Time: October 13, 10am-4pm. Visit homes during the designated hours only. Admission: Space is limited so purchase your tickets in advance. All participants must have an admission ticket you will show to enter each home. We will send out a digital PDF copy the night before the house tour to the email that you provide. You can also pick up a hard copy of the Tour Guide Book at HMH Architecture + Interiors beginning at 9:30am the day of the tour. Do I have to bring my printed ticket to each home? Yes, all participants must have an admission ticket you will show to enter each home. We will send out a digital PDF copy the night before the house tour to the email that you provide. You can also pick up a hard copy of the Tour Guide Book at HMH Architecture + Interiors beginning at 9:30am the day of the tour. Will tickets be available for purchase on the day of the tour? Yes, Tickets will be available on the day of the event at HMH Architecture + Interiors. Do I need to go to the starting location to pick up a tour book? If you want a hard copy of the tour booklet it will be available for pick up starting at 9:30am at HMH Architecture + Interiors. We will also send out a PDF copy to all ticket holders. Can I take photographs inside the homes on the tour? No interior photos allowed to respect the privacy of the homeowners. Will children be allowed on the tour? Yes, children are allowed on the tour. Children 12 or under attending the tour must be accompanied by an adult at all times. No strollers allowed in homes. Do I have to tour the homes in a specific order? No, This tour is self guided, you may start at any location and finish at any location. You may visit the homes anytime between 10am – 4:000 pm. Peak hours for the tour are 1-3 pm so plan accordingly. Advanced Ticket Holders: All participants must have a tour guide booklet—it’s the admission ticket you will show to enter each house. We will send out a digital PDF copy the night before the house tour to the email that you provide. You can also pick up a hard copy of the Tour Guide Book at HMH Architecture + Interiors beginning at 9:30am the day of the tour. Day of Event Tickets: Pick up your copy of the House Tour Guide Book with the addresses and descriptions of the homes at HMH Architecture + Interiors on the day of the tour. PDF version not available on the day of the tour. Home Tour Guide Book Pick Up: HMH Architecture + Interiors 1701 15th Street, Suite B, Boulder CO 80302 Opens at 9:30am! Transportation: Homes are accessible by car. We encourage carpooling and will provide a map to each location. DISCLOSURE: The Month of Modern Haertling Home Tour is a tour of private homes. The tour and its organizers and sponsors are not responsible for the upkeep or maintenance of these properties and are not liable for any injuries that might occure as a result. You may encounter conditions that pose risk of injury, such as wet walkways, steep stairs, low doorways, loose rugs or carpets, or other potentially hazardous conditions. Tour guests agree to waive all claims against the tour organizers, contractors, sponsors, volunteers and tour homeowners arising from or related to participation and travel.